Actress and singer Emmy Rossum said she took an abbreviated break from taping Shameless and hopped on a red-eye from LA last night just to support Origins and their latest initiative with Charity:Water. Beauty and the Feast: Do you have a hidden talent when it comes to beauty? Emmy Rossum: I’m really good at popping pimples. BATF: What’s your best beauty secret? Rossum: I do use a weird clay called Aztec Secret Indian Healing Clay. It’s a powder you can buy at the drugstore, and makes a really nice drying mask. BATF: What’s the biggest beauty risk you’ve ever taken? Rossum: I’ve got a pimple injected with cortisone once. It’s actually not that good for you. I mean, it was a real good one. And it was right here [points between brows], and everyone was staring at it. Then my friend told me you could go to a derm to get it injected, but I don’t think I’d ever do it again. BATF: What do you splurge on when shopping? Rossum: My biggest splurge is usually on shoes. But not on heels — shoes I’d use everyday like Chanel ballet flats. I also love to shop at Topshop, Zara, Asos.com, and etsy.com. BATF: What are some qualities you share with your character, Fiona, on Shameless? Rossum: We don’t take no for an answer, we both wash our face before we go to sleep, and we also don’t always wear a bra. Rossum: My mom’s red lipstick when I was four-years-old. I looked like a clown. BATF: What are your three desert island products? Rossum: Toothpaste for sure. 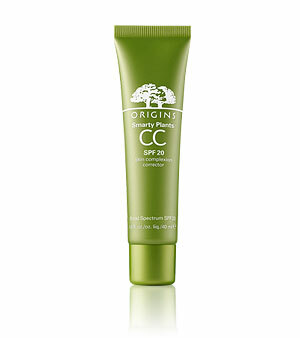 Origins’ Smarty Plants because it has has a high SPF and I’ll still look cute if I meet a hot desert guy. And something to make my breath fresh. BATF: Even if you’re alone? Rossum: I’m not necessarily alone — there could be a hot desert island man I could meet! BATF: How do you keep in shape? Rossum: I do Physique57 and SoulCycle. I stay away from alcohol and cigarettes that make you look more tired than you are. BATF: Do you have any bath regimens? Rossum: If I’m sore or anything, I’ll take a bath with Epsom salts and hydrogen peroxide but that’s about it. BATF: What are you favorite restaurants in the city? Rossum: I love Catch [in Meatpacking]. The crab claws are great there! I love Sant Ambroeus because they can substitute any pasta for gluten-free pasta. And I like street cart food. I like taking my chances with them. Sometimes the shawarmas are really good! See? She’s just like us. Besides the whole crazy talented actor/singer/jaw-droppingly beautiful thing. Thank you for giving me another reason to love Emmy Rossum! Honestly, I didn’t like her when I first saw her (Day After Tomorrow) but after watching Shameless and seeing the depth she’s put into Fiona’s character, I started watching her other shows and listening to her sing, too.